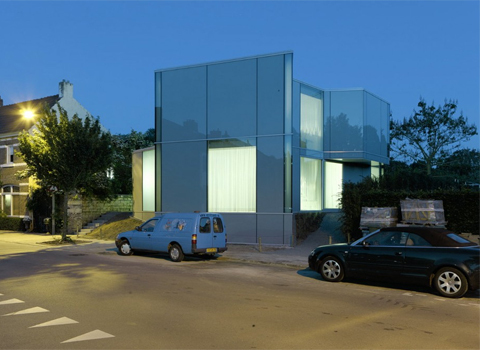 Wiel Arets Architects designed the house for a couple located in a leafy area of Maastricht. The clients are a dances and an actor, as well as landscape architects. Behind the site is a garden, which is occasionally opened to the public. The interior is primarily a single loft like space with a central mezzanine. 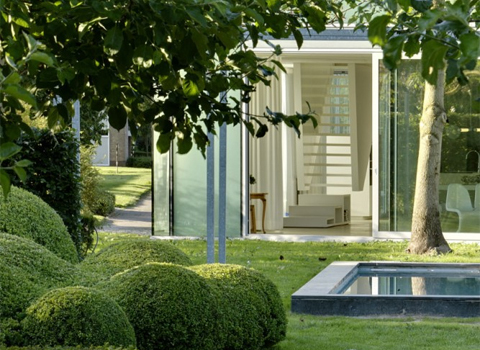 Two smaller independent volumes – entrance and bathroom – are adjacent to this main volume. The position and shape of the house are defined by the terraces, which each have their own, separate character. Having no structural walls, a few rectangular columns support the slabs positioned to minimize impact. All other walls, whether internal or external consists of glass. The stair is an independent object within this setting. The required range of privacy can be set with a series of curtains, which softly define the interior spaces. 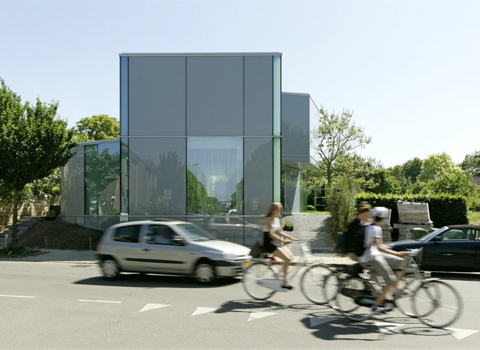 The combination of transparent and opaque glass and sliding or fixed facade areas creates a number of different possible responses to the changing of the seasons and the fading of the light. The spaces of the house are suffused with richness due to the layering of this unadorned configuration, the combination of materials and the variations in usage.